Above: Not as popular and overcrowded as the other parks in Utah, Capitol Reef National Park it’s the perfect combination of adventure and beauty in near solitude. 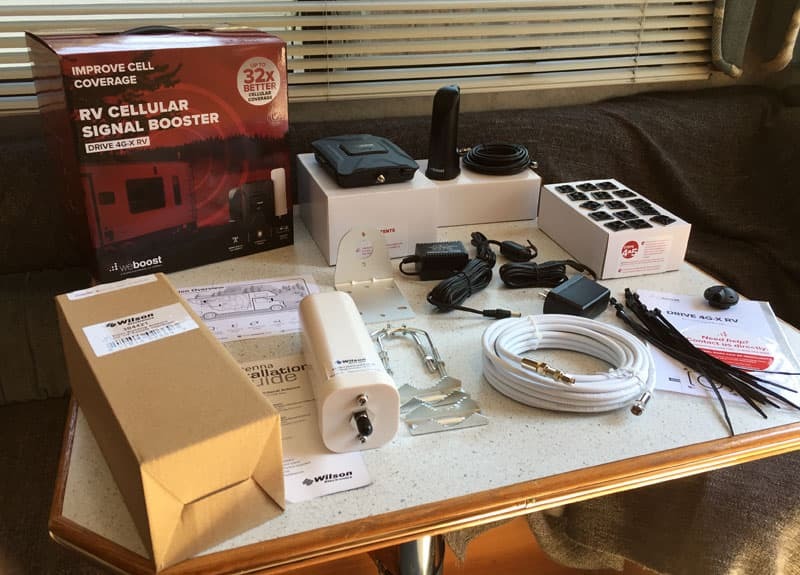 My work requires being constantly online, so a cell booster was one investment we thought would help us to camp in locations further from civilization, and cell towers. TCM: We run Truck Camper Magazine from the road using cellular internet, but we don’t have a cell booster. What make and model of cell booster do you use? Cayetano: After some research we went with the Drive 4G-X RV from WeBoost. We had heard good things about it, and although rather expensive, it seemed like our best bet to get the job done. The installation was easy. We removed the TV antenna from our camper and used the original TV antenna pass through to connect the new exterior antenna to the booster controller inside. TCM: Has it worked as well as you hoped? Cayetano: It’s been useful a few times. It makes the signal stronger and helps a little with speed. In Utah we might have had one bar, and with the cell booster we would get three bars. But, it’s not going to get you a signal where there’s no reception. It’s worth the investment because anything that makes working on the road a little easier is worth it. Right now we are using T-Mobile for our cell phones and Verizon for our hot spot. We also go to public libraries and Starbucks. Above: On the Idaho/Oregon border. For Christelle and Cayetano, it’s not just about going from point A to point B. It’s about enjoying the ride in between. TCM: Obviously you didn’t hit the road full-time just to work. 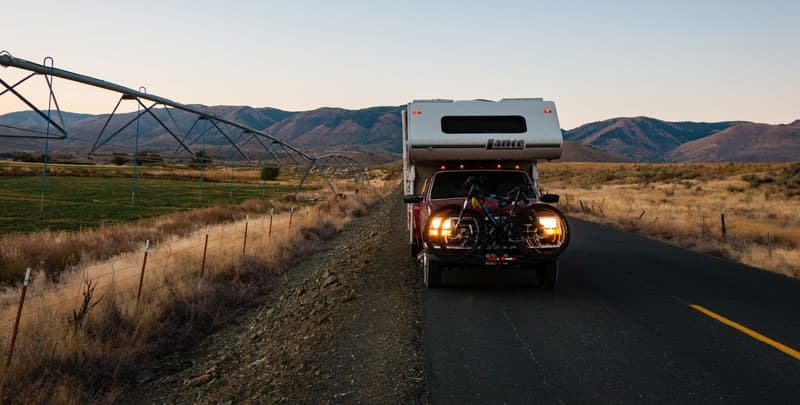 What do you enjoy doing while you’re out truck camping? Cayetano: We love the freedom that our truck camper offers in terms of spending time in nature and away from cities. We really enjoy hiking, running, and generally exploring the trails in state and national parks. Both of us are into photography and love to document the places we visit. Our goal is to discover everything this country has to offer, from coast to coast, and mix nature with urban exploration. 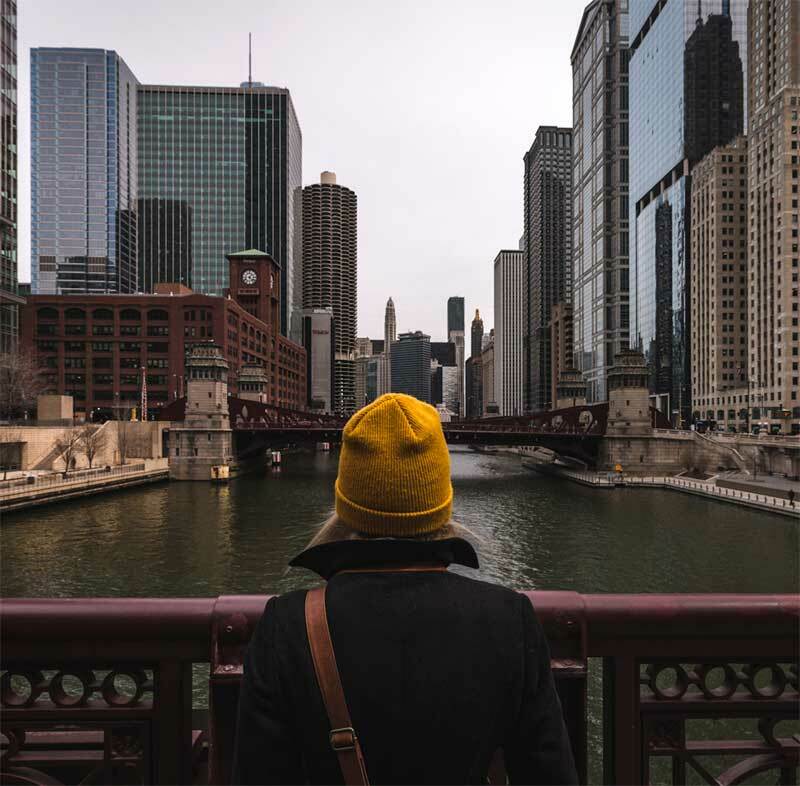 This lifestyle allows us to learn more about the history and culture, while discovering local gems, great food, and places we wouldn’t be able to see living a 9 to 5 life. 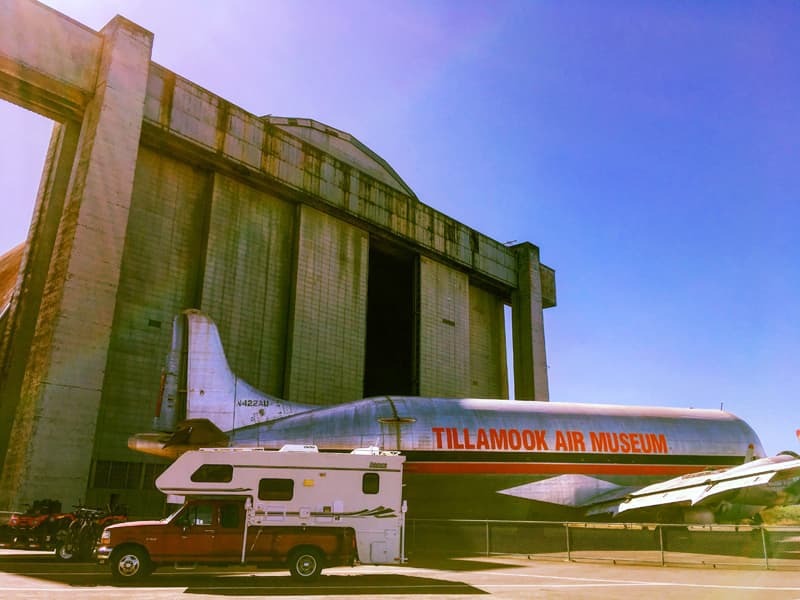 Above: Stopping at roadside attractions that catch their eye; lunch next to a plane at the Tillamook Air Museum in Tillamook, Oregon. TCM: Is there a travel plan that you’re working from? Cayetano: The plan is to see the different urban areas in the United States with as much of the surrounding environment as time may permit. We avoid taking lots of time driving during the work day. On weekends we explore our surroundings. With my job, we can only explore so much.